A recipe for a refreshing pineapple mojito with a virgin ‘nojito’ option. A fun and easy upgrade to the traditional mojito cocktail. 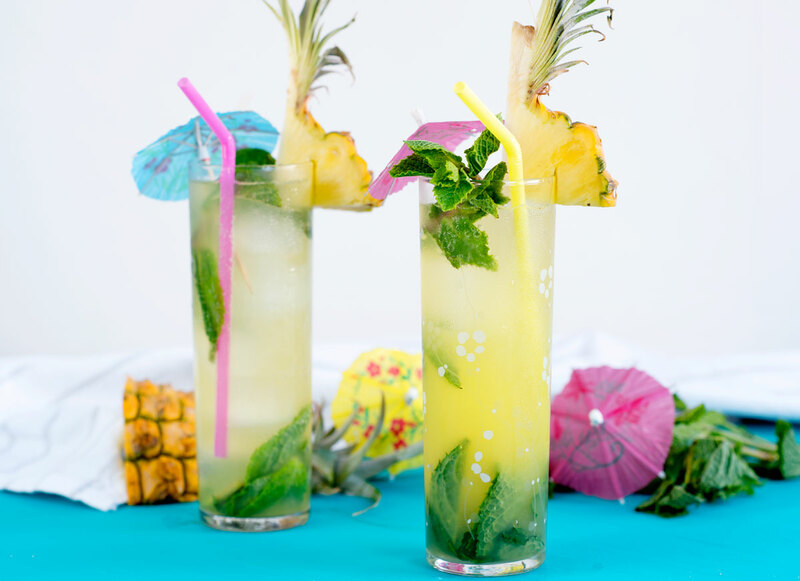 If you like piña coladas…then you’ll love a pineapple mojito! They are the ultimate umbrella drink and the perfect exotic summer cocktail. Conveniently, I’m bringing them to you just in time for the Fourth of July. My biggest pet peeve is when the non-alcoholic drink option is just juice or water. Many times I’m more of a no-jito kind of girl, especially when I’m looking at a long day at the hospital the next day. It’s always nice to have a mocktail option when you’re mixing drinks. Designated drivers and boring doctors deserve some fun too! 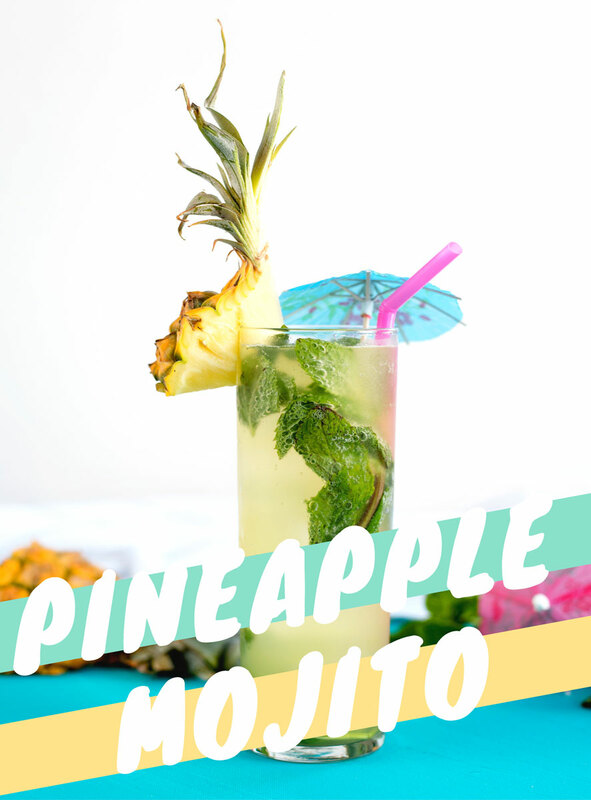 Making pineapple nojitos (aka virgin or non alcoholic mojitos) will keep them from missing out on the Fourth of July festivities. 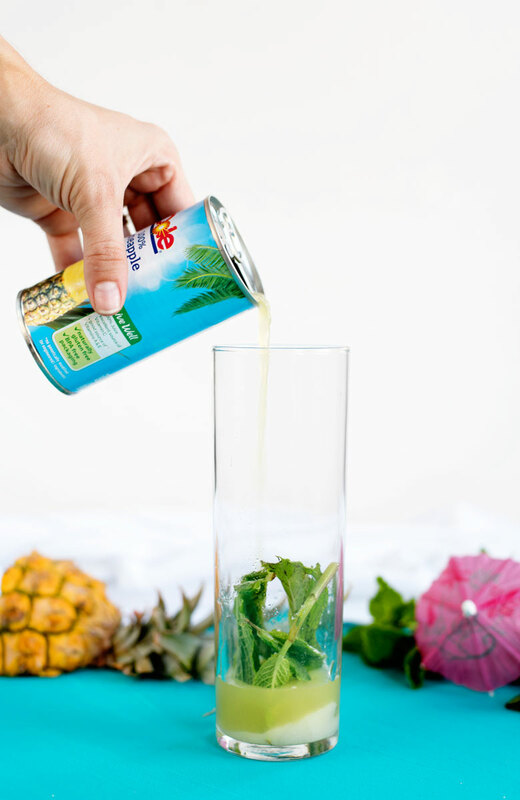 In addition to the fresh mint, these pineapple mojitos taste amazing because of the DOLE® Canned 100% Pineapple Juice. 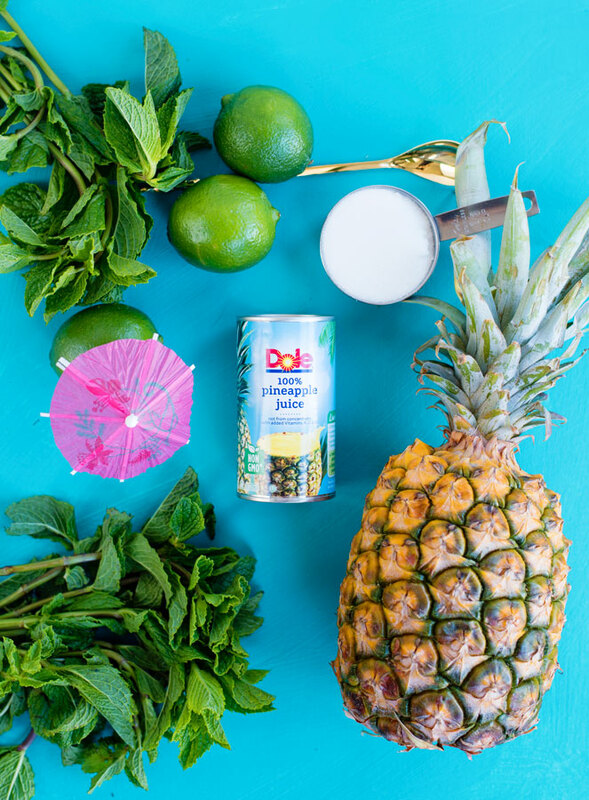 Dole truly is the ‘King of JuicesTM‘ and its addition gives them a refreshing upgrade from a traditional mojito. You can find it in most grocery stores nationwide. This recipe is naturally gluten-free and vegan. 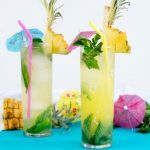 A recipe for refreshing pineapple mojitos with a virgin ‘nojito’ option. A fun and easy upgrade to the traditional mojito cocktail. Place mint leaves, lime wedge or juice and pineapple juice in a highball glass and muddle to release the mint oils. Add white rum if using and fill glass with ice. Okay yes this looks like such a yummy, refreshing summer cocktail! Pinning for later! Thanks Emma! I promise they are delicious! Thanks for pinning it. So pretty! I think pineapple juice is just what a Mojito needs. Pinned! This looks delicious! You have a new email subscriber and I pinned this to Pinterest! Glad I found your blog. I’m so glad to hear that! Thanks for stopping by.